The book is a branding course for entrepreneurs without the Mumbo Jumbo terminology that you usually meet in most similar publications. 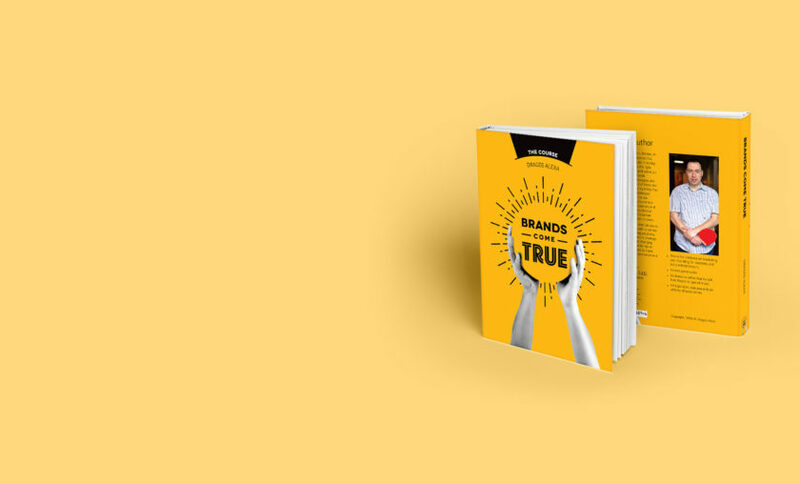 “Brands come true” strives to demonstrate that healthy branding comes from a true and passionate management style accessible to anyone that aims to have True Success with their business. This book-course is not about transforming you into an overnight branding expert, but it offers the right amount of info that you will need in order to really have success in your entrepreneurial Journey from the managerial point of view. What a BRAND is? What is not a BRAND? How can BRANDING help you and your company? What are the gains and what will you accomplish? What do you need to do before starting your own business? What questions should you answer? What are the INGREDIENTS that you need for healthy growing your brand? How to define the simplest and healthiest business model for you? How to get your Product or Service ready for the real world? What do you need for that? How to get the right creative agency as a partner? What do you need to prepare in order to correctly brief the professionals? What are the stages of working with a creative agency? What should you expect from them? What TOOLS you may grow with their help? How will you integrate branding into everything your company does? How do you track results in order to find out what TOOLS work and which one don’t? What can you do to best avoid failure? What are the actions that will help you decide if you’re heading in the right direction? What do you need to continue in doing each month as branding related activities inside your marketing, advertising, sales support, PR, etc? How does brand management occur on your side?